Check out a New Demo this week with the Next installment in the Guitar Hero Franchise. 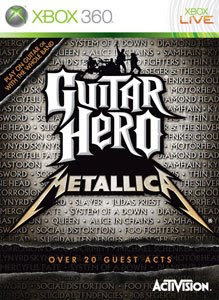 "Get ready to thrash with Metallica and other rocking bands. Unleash your inner metal God and showcase your skill on guitar, drums, vocals and bass. Featuring the music of Metallica, Queen, Lynyrd Skynyrd, Alice in Chains, Foo Fighters, Motörhead and more"
Xbox.com is working now, so you can queue up the download if you're away from your 360.